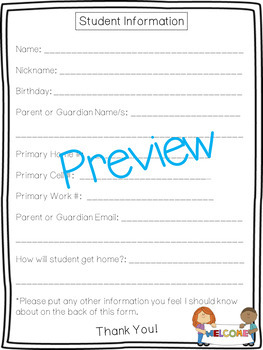 A great resource to gather information about all of your students! I send it home in their back to school folders the first week of school! Use it year after year! Edit as needed.